It was that time of the year for my get away to teach dance outside Bangalore. 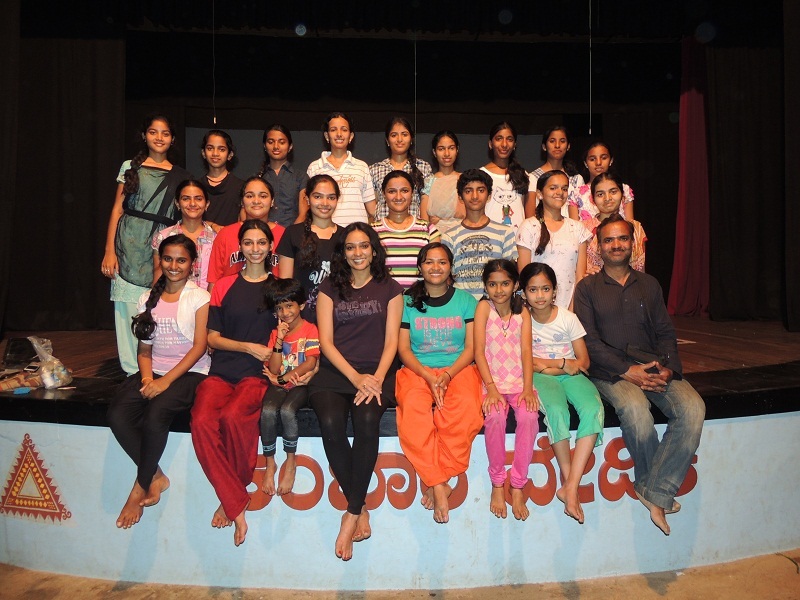 My destination was to the classical dancers of Pariniti Kalakendra in Sagara. Sri Gopal Sagar (Director) and Sri Chinmayi (Dance critic) has been in conversation with me for a year and the dates finally materialized during our Republic day. I arrived at Sagara early morning and the house I stayed in had a typical wooden steep stairway. I enjoyed the hospitality of Swetha, Mr.Gopal’s wife, who is a gracious host, an excellent cook and also a pillar of strength to the institute and dancers. Off duty times are my favourite usually, it’s the time to bond with my students and also know a little more about there inclination to dance. Well the girls turned out to be really spunky and took me on a roller coaster ride into the sugarcane fields, a luxury which I never get in Bangalore. I also enjoyed all their stories one of which was how Rathan convinced everyone in school for a year that he is Hrithik Roshan’s brother. He even photoshoped pictures and wove imaginative stories to make everyone believe him. The second day I forced all of them to let go, move to their internal rhythm and dance like monkeys. Of course moving on to more serious matters had to finish choreography. I was surprised at the concentration and the ability of the students to learn a whole dance piece in a day..kudos..As we wound up by 6 pm, Mr.Gopal along with a couple of dancers rushed for a performance. The surprise package was when I went to watch the performance, they honoured me and introduced me as an Internationally acclaimed dancer/choreographer. Hardly!! I think more of myself as a struggling, mad artiste with a crazy commitment to the field of dance. Was time to catch the night bus but not before I enjoyed Swetha’s tasty dinner and Mr.Gopal’s gifts of pickles and mixture, a speciality of Sagara. I left the city with a lot of hope for the future of dance and looking forward to reach out to dancers another town next year. 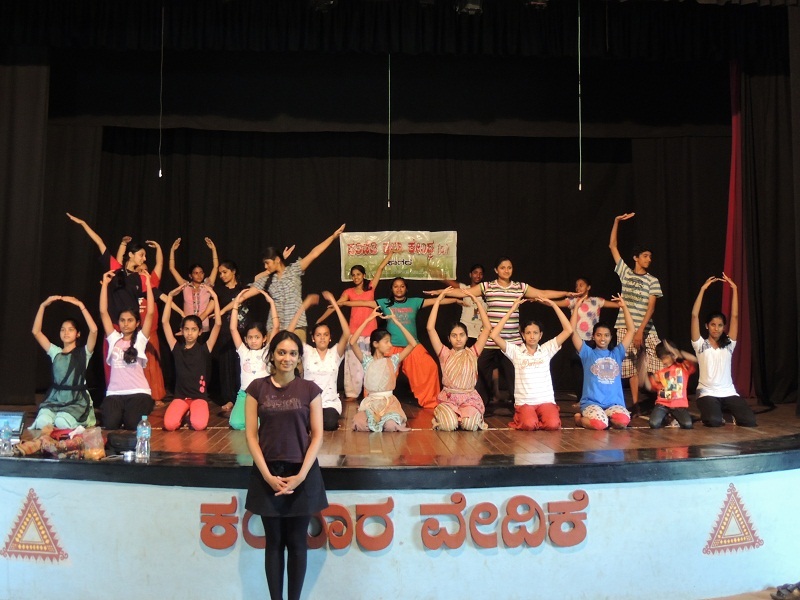 I don’t think of myself as a teacher but a medium to make people fall in love with dance ….